In India, regulatory authorities are constituted by law for implementation and administration of law. One of the regulatory authorities in India is Registrar of Companies (ROC) for regulating all companies and Limited Liability Partnerships (LLP) in India. Registrar of Companies is empowered to regulate all the companies and its subsidiaries set up in India as well as outside India by Indian parties. Starting from incorporation of a company to its winding up it is regulated by ROC. Registrar Of Companies needs to exercise strict control over companies to ensure that Companies and LLPs comply with statutory requirements as laid under the Act, rules, guidelines, notifications, circulars as may be applicable to them. The primary act governing a Company is Companies Act, 2013 (erstwhile Companies Act, 1956)and rules and regulations framed there under wherein companies needs to report to Registrar Of Companies on event basis and/or periodic basis. The Registrar of Companies India is the official agency that deals with administration of Companies Act 1956 & Companies Act, 2013. It falls under Ministry of Corporate Affairs. It has offices in all major states of India.The Registrar of Companies is the primary regulator for company- related matters in India. It is popularly known as Registrar Of Companies. It is the Government agency deals with regulation and Management of all types of Companies covered under the Companies Act 1956 & Companies Act 2013 in india i.e Private Limited & Public Limited. The Registrar of Company takes care of Company registration (Also known as Incorporation or Setup) in India , complete reporting and regulation of Companies w.r.t its Directors, Shareholders , Government Reporting of various matters including the annual filling of various documents. Apart from companies, Registrar Of Companies also regulates Limited Liability Partnership (LLP)and the governing law of LLP is Limited Liability Partnership Act, 2008 and rules and regulations framed thereunder wherein statutory duty has been cast upon LLP for event-based or periodic reporting to Registrar Of Companies. Registrars of Companies (ROC) appointed under Section 609 of the Companies Act covering the various States and Union Territories are vested with the primary duty of registering companies and LLPs floated in the respective states and the Union Territories and ensuring that such companies and LLPs comply with statutory requirements under the Act. 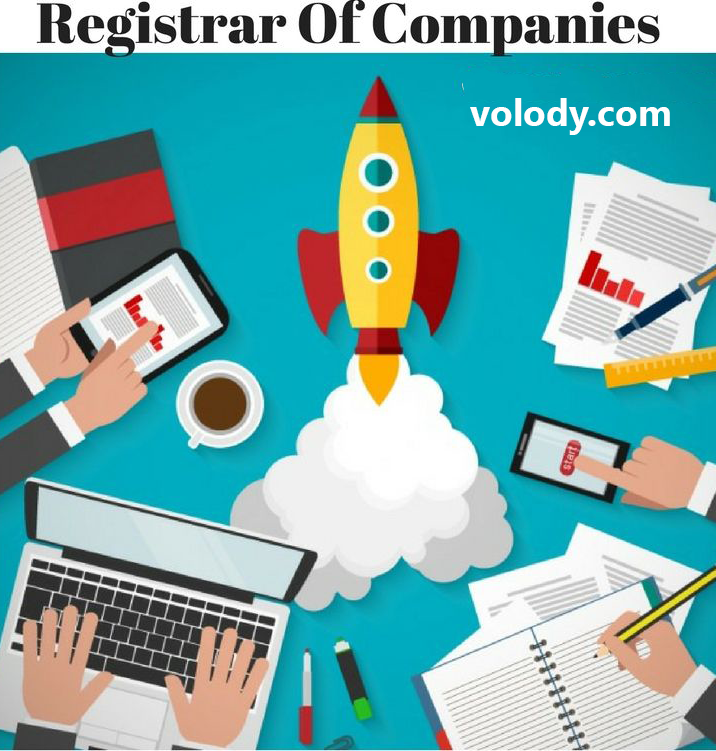 All companies and LLP are registered entities under Registrar Of Companies and required to follow regulations and meet all the compliance requirements of Registrar Of Companies. Any non-compliance by companies and LLP, Registrar Of Companies have been empowered to impose penalties or take strict action including imprisonment against Directors, Promoters and Key Management. In extreme case, Registrar Of Companies is empowered to strike off the company or LLP. Registrar Of Companies has gone through lot of transition in terms of submission of documents, filing of applications etc. In earlier days all the filing with ROC including compliance documents, charge documents and approval application were made physically and it used be a big task to retrieve information from ROC records. However, currently most of the document retrieval, filing of forms, compliances and application is done online. ROC is one of the government organization adopted technology early. To ease the filing requirements of companies and LLP, ROC has started a Go-green Initiative wherein Companies and LLP are required to do all their filings and reporting to ROConline through its official website http://www.mca.gov.in. All The filings done by Companies and LLP are stored in a data.